On seeing the Apple Park Logo and it’s arrangement of concentric rings, I figured it would be based on Apple’s grid system. Jony Ives mentioned the grid system when unveiling iOS 7 and the iOS icon grid. The iOS icon grid and the grid system are not the same thing. The grid system appears to be based on Samuel Colman’s 19th century geometric progressions and dynamic symmetry. The iOS icon grid uses two proportions; the golden ratio (golden proportion) and the root-two proportion. The third proportion in the system is the root-three proportion. You can find the root-three proportion in the tvOS and MacOS system preferences icons. See Icon Design for Step-by-Step instructions on how to build icon grids for tvOS and MacOS. The iOS icon grid seemed like a logical place to start for recreating the Apple Park Logo. I’m using Affinity Designer to draw this. 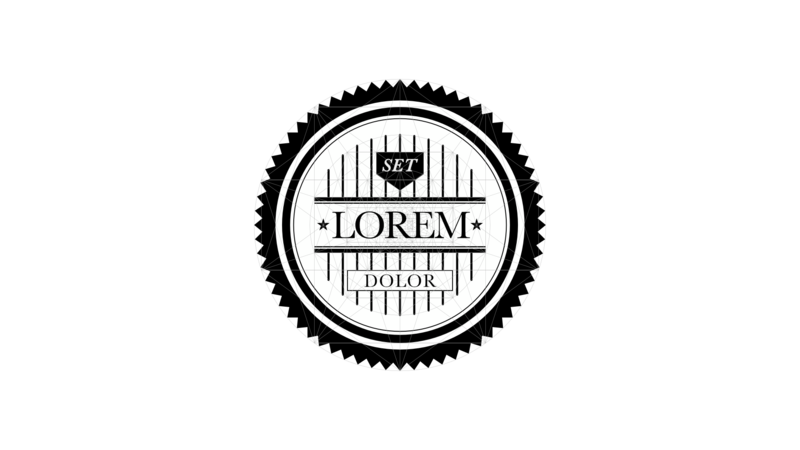 You should be able to follow these instructions using Adobe Illustrator. Step 1) Using the horizontal boundary line of the grid, draw the first ring of the Apple Park logo. Align the stroke of this ring to the inside. I set the line thickness to 5pt. Step 2) Draw a circle centred on the circumference of the iOS Icon Grid’s mid-sized circle with the radius set by the circumference of the smallest circle. Step 3) Using the circumference of the purple circle drawn in Step 2 to set the ring diameter, draw the second logo ring. Align the stroke of this ring to the outside. Because it’s easier, I’m going to switch to creating a set of golden rectangles. I’ll use these like ruler units to set the radii of the remaining rings. Step 4) Create a set of four nested golden rectangles where the height of the first rectangle (yellow) is set by the circumference of the circle created in Step 2 and the horizontal grid line of the iOS Icon Grid as shown below. Note: The yellow rectangle is partially obscured by the other rectangles. The pink dots show the height of the yellow rectangle. Step 5) Make copies of the large yellow rectangle and small red rectangle and lay these out as shown below. Note: You do not need the orange and purple rectangles. These can be deleted. Step 6) Draw the next two Apple Park logo rings. Align the stroke of these rings to the centre. Step 6) Draw the wide band by using the height of the smallest rectangles to set the inner and outer radii of the band. With the grid removed, here is the completed logo. I bet you weren’t expecting it to be his easy. 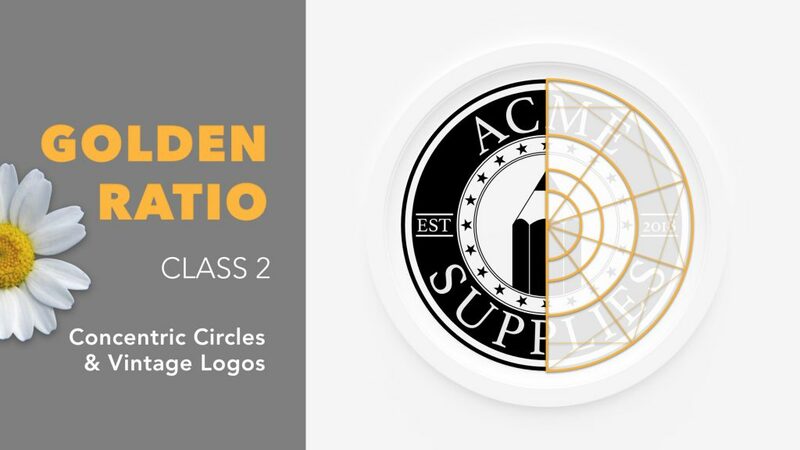 If you are interested in creating concentric circle logos using geometric progressions, check out my latest class on Skillshare. I hope you enjoyed this step by step tutorial. Remember to check out this class if you get a chance and to check out my book on Icon Design.